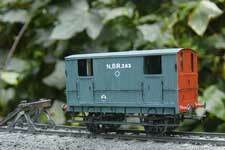 This kit is for the original, broad planked, brake van introduced by Holmes in 1890 and which became the basis for later North British brake vans built by Reid and Chalmers. 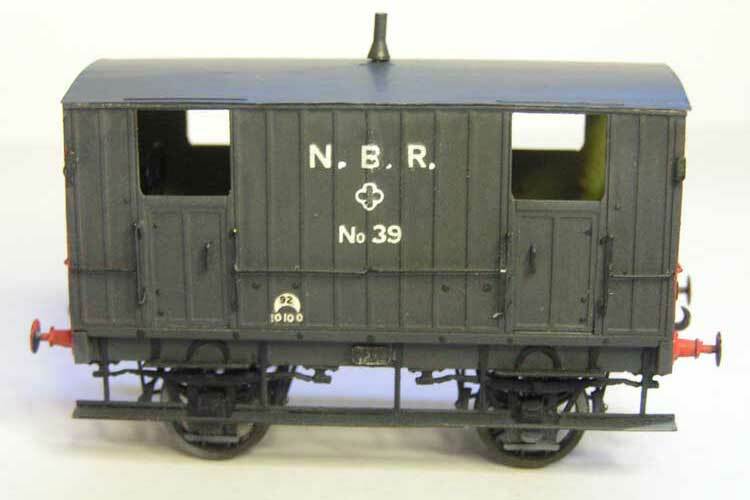 While the first of the vans probably did not have a heating stove for the guard, this would have been added to all builds early on in their working life. 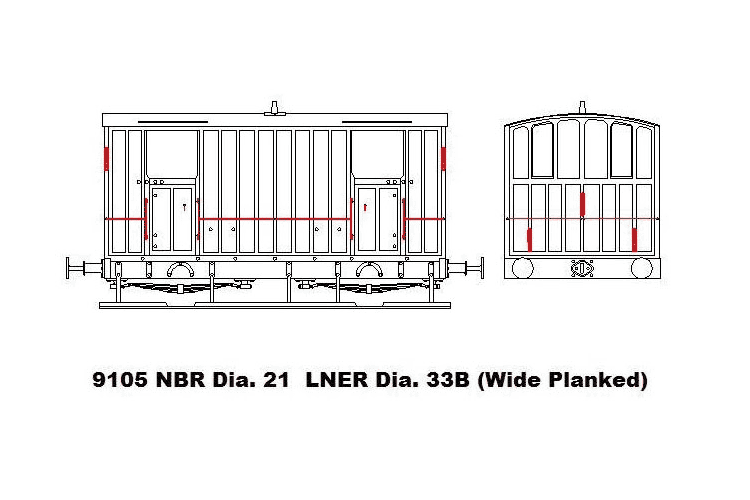 A few vans in this condition could be found until c1914, thence rebuilt with narrow planking (kit 9106). 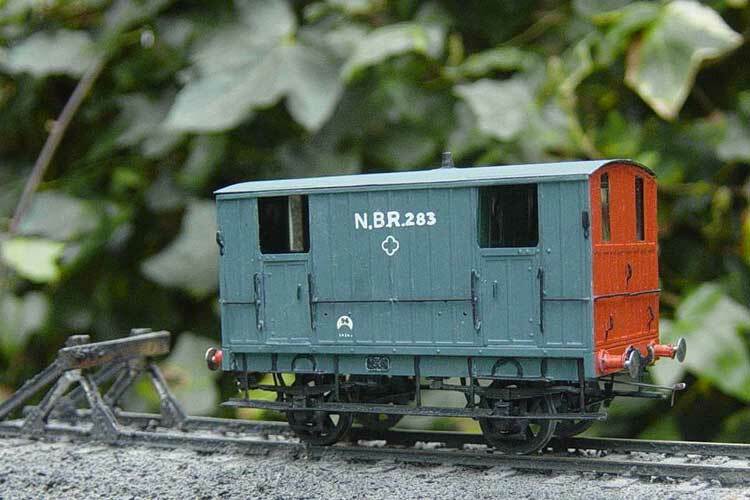 Please click on the thumbnails below to see larger images of a model built from this kit. The kits are in 0.3mm brass and includes white-metal castings and brass wire. W-irons, wheels, paint and transfers will require to be purchased seperately to complete. 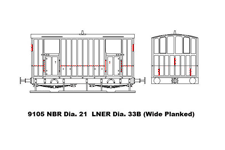 Please click on the image below to see a larger drawing of the brake van.